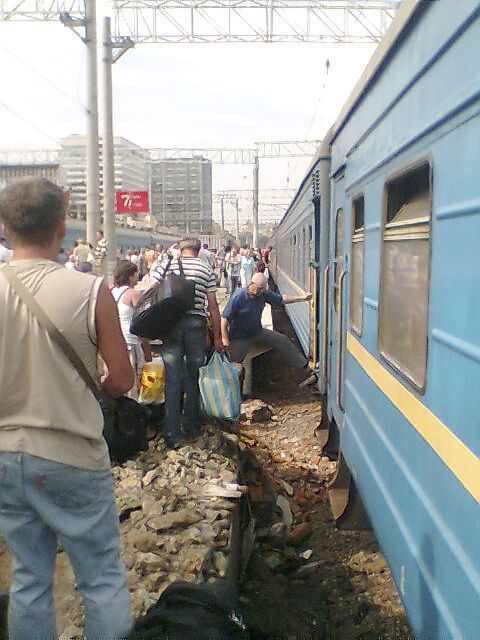 This is Kursky Rail Terminal in Moscow. 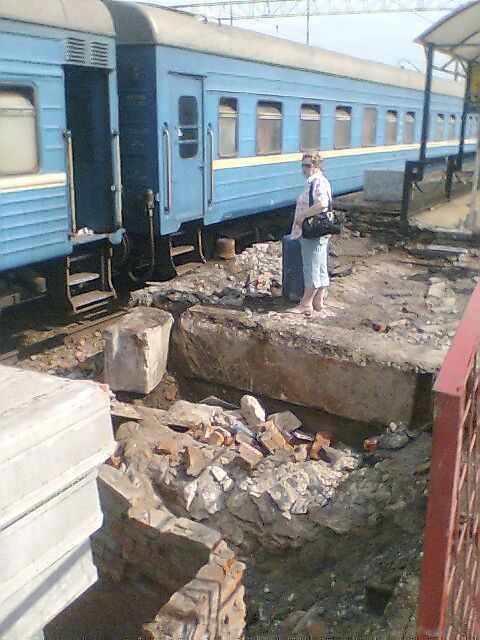 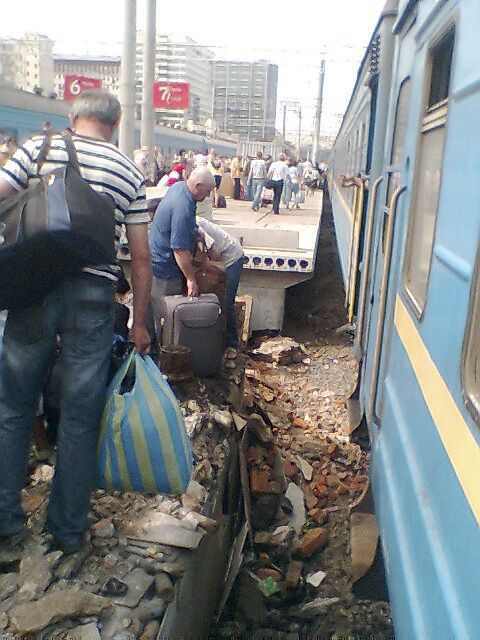 And that is how people had to ‘climb’ on the train because of the rebuilding works that are taking place there. 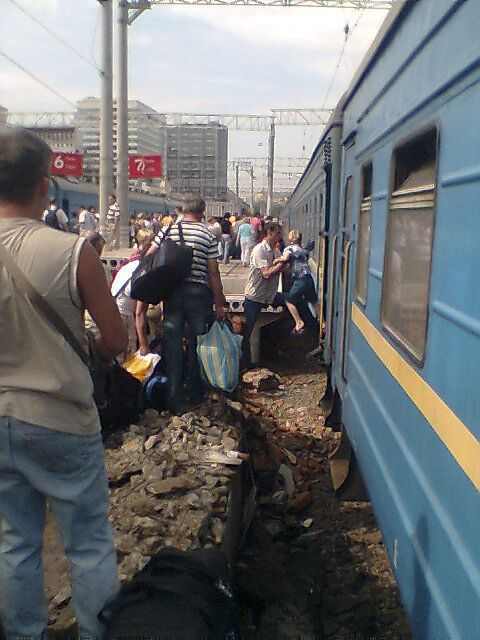 I have no word to describe the scene but it seems these people have to suffer, alot of old people walking on stones to get into the train. 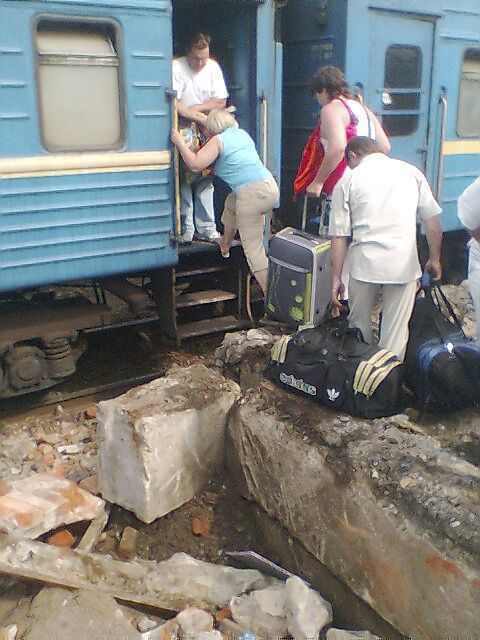 I experienced something like this when I was in Thailand, it was a very bad experience for my holiday, the train stopped 5 minutes before it run, I walked on all the big stones and jumped into the train minute before it left.